Vauxhall in London is known for many things – the Oval cricket ground, a permanently traffic-snarled gyratory system, a disused gas works – but a pleasant afternoon drinking gin and tonics is not usually the first thing that springs to mind. 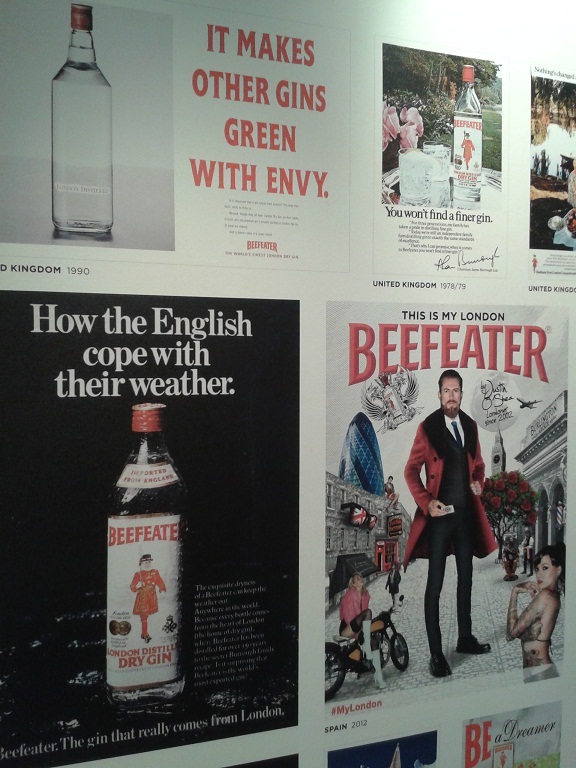 However last Tuesday I did just that, having just been exploring the brand new visitors’ centre at the Beefeater Distillery. 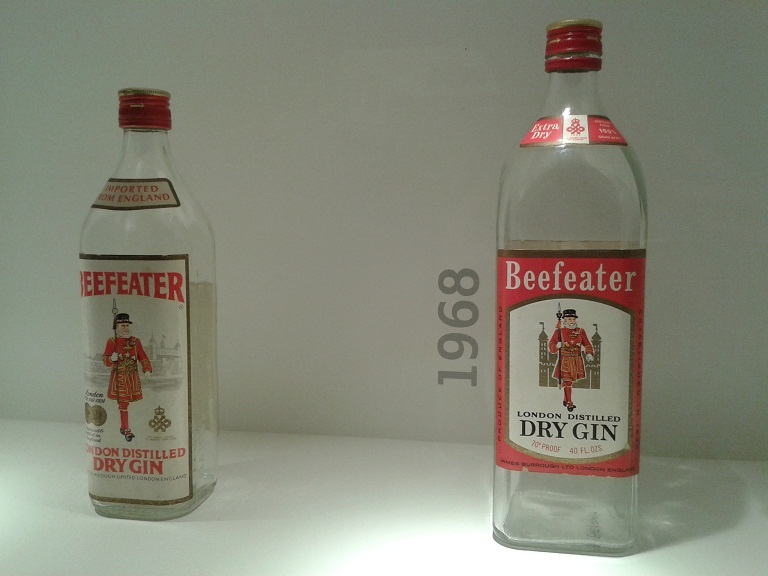 Beefeater – which lays claim to being the world’s biggest-selling premium gin (Gordon’s being just ‘standard’ gin, apparently – unsurprisingly Diageo disagrees) – has been made in Vauxhall since 1958 and has been a London-based spirit throughout its history. 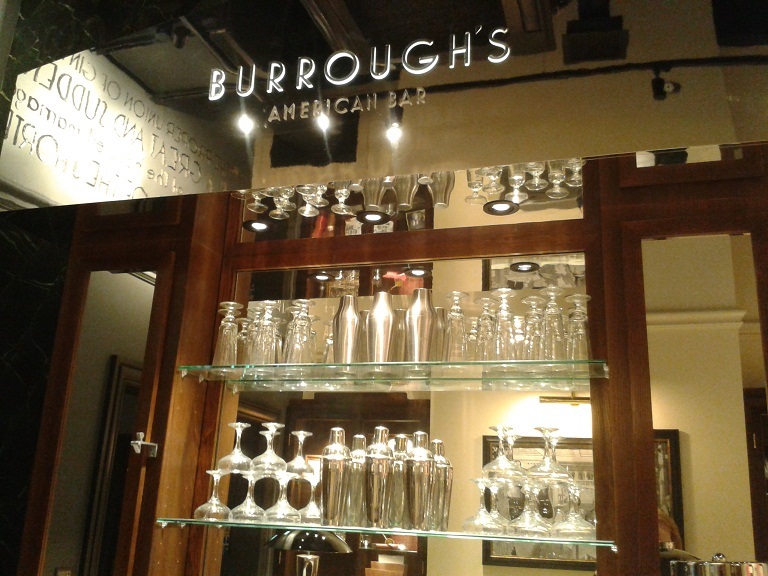 It was in 1863 when pharmacist James Burrough bought a small distillery in Chelsea for £400 and after a decade of experimenting with different spirits and punches, and started making Beefeater gin, named after the Yeoman Warders of the Tower of London (who each get a bottle of Beefeater gin a year). 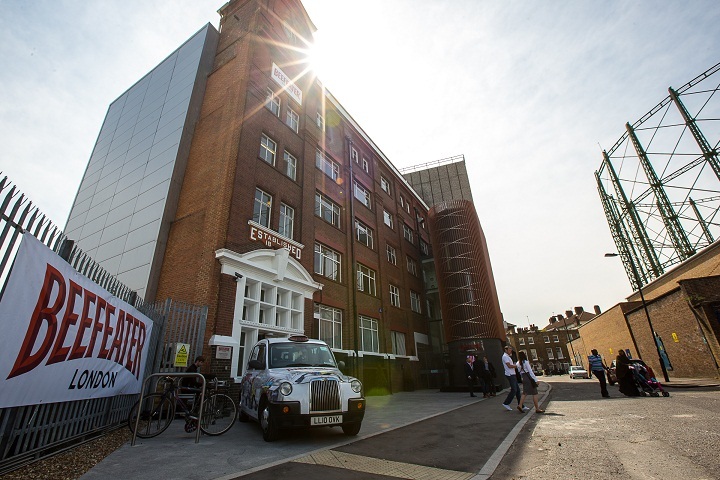 After moving south of the river, first to Lambeth and then its current home at Mountford Place just off Kennington Lane, Beefeater started cranking up production, and now sells 20.7 millon litres a year, exporting to more than 100 countries, particularly the US and Spain. 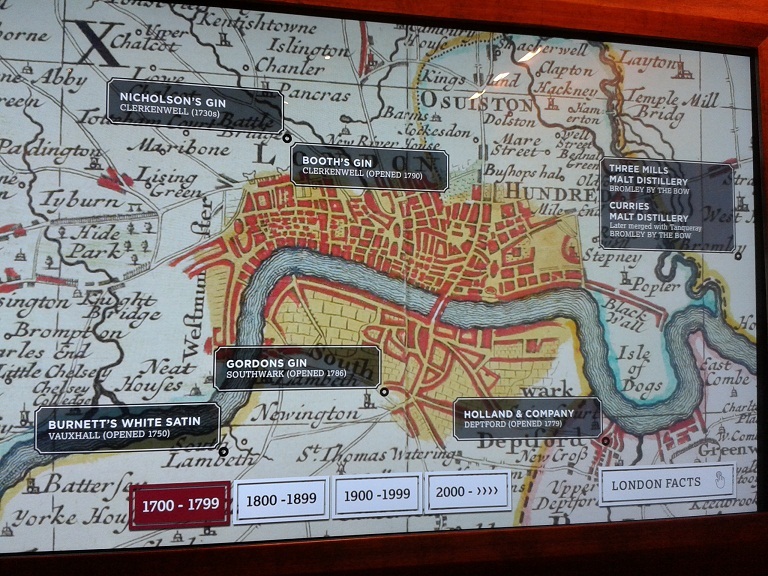 Possibly inspired – or provoked – by the recent growth in the number of distilleries in the capital, such as Sipsmith in Hammersmith, Sacred Spirits Company in Highgate, the City of London Distillery just behind Fleet Street and the London Distillery Company in Battersea, Beefeater’s owner Pernod Ricard finally decided to open its doors to the drinking public. 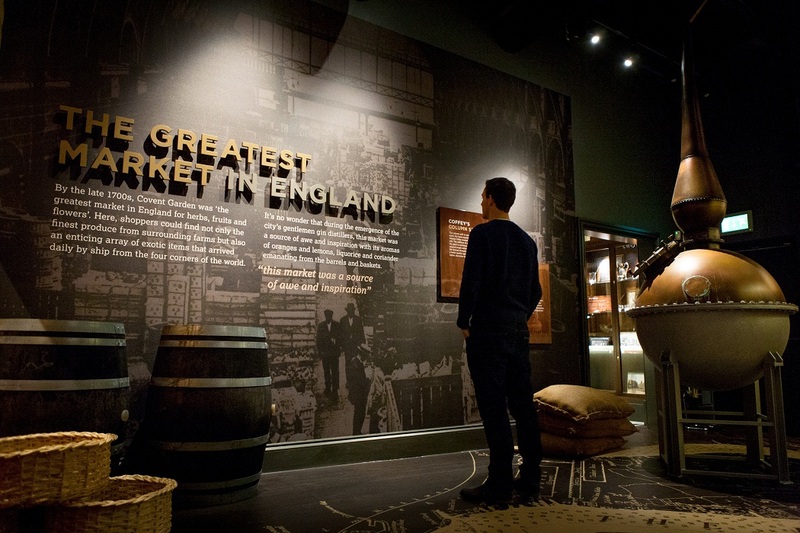 There were really interesting nuggets to be found among the exhibits – such as the Captain who secretly dispensed gin in 18th century London through a door knocker in the shape of a cat’s head – and a walkway connecting the exhibition to the actual distillery was full of interesting Beefeater memorabilia such as old bottles and advertising posters. 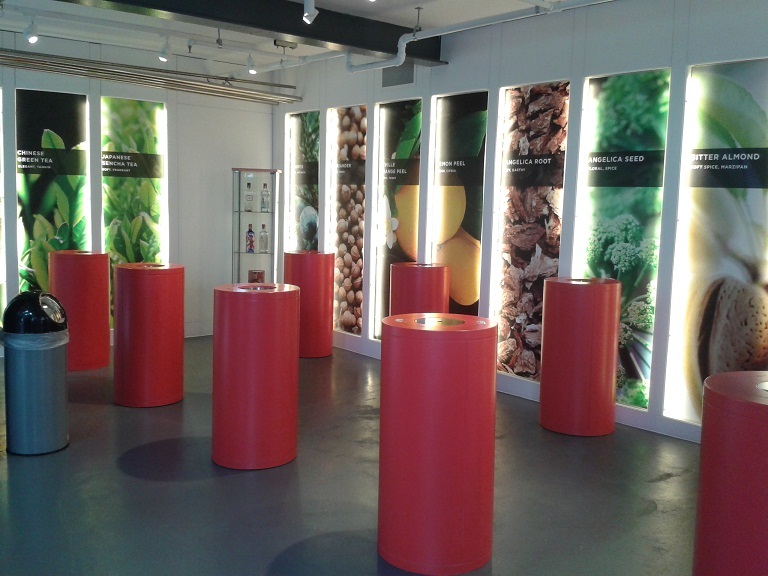 The second half of the tour takes in the nine botanicals used to flavour Beefeater (the neutral spirit is actually produced by a third party in Scotland, which is shipped down to the distillery, and then shipped up again to be cut with Scottish water to get to the required strength) and it’s rather enjoyable squeezing and smelling the juniper berries, Sevilles orange peel, lemon peel, orris root, angelica root, angelica seeds, coriander seeds, almonds and liquorice which are steeped for 24 hours before being re-distilled. 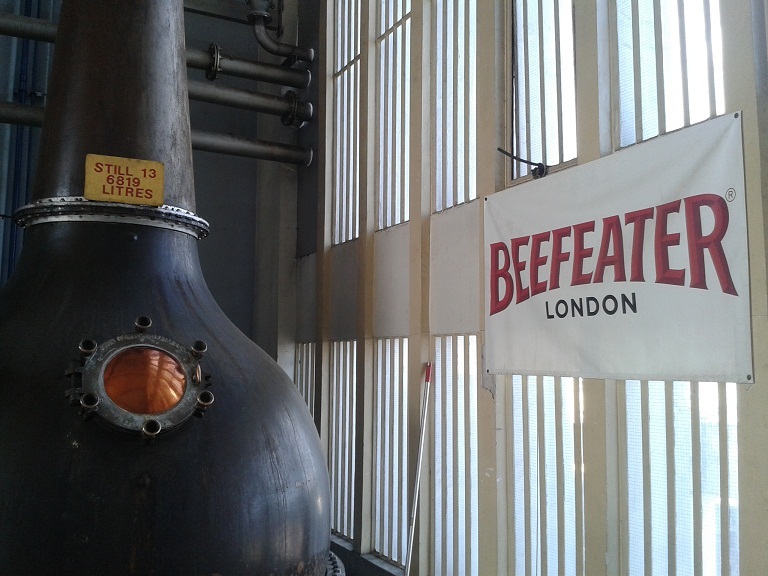 The tour usually ends here with a view through the reinforced glass ceiling of the impressive pot stills overhead before having a complimentary G&T at the bar, but thankfully for I’m with Desmond Payne, Beefeater’s master distiller with over 45 years in the industry. 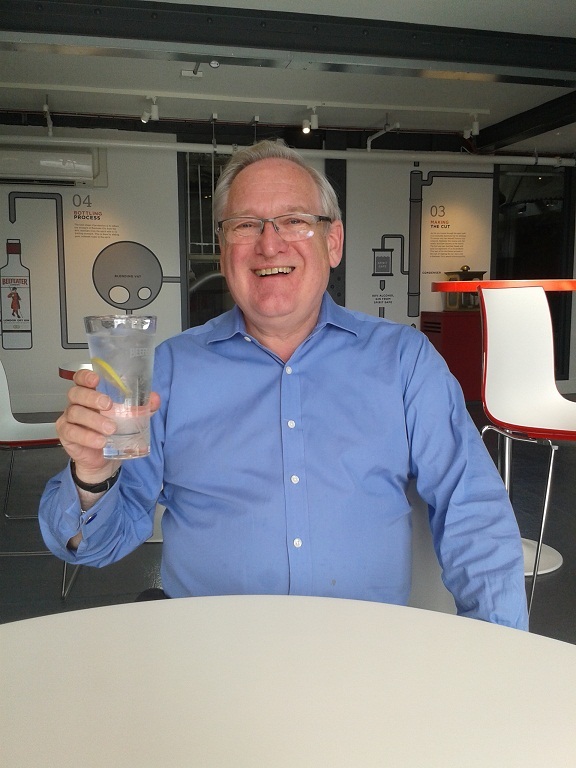 Desmond is a gin fanatic in the nicest way and can talk for hours about the intricacies of the drink he loves. 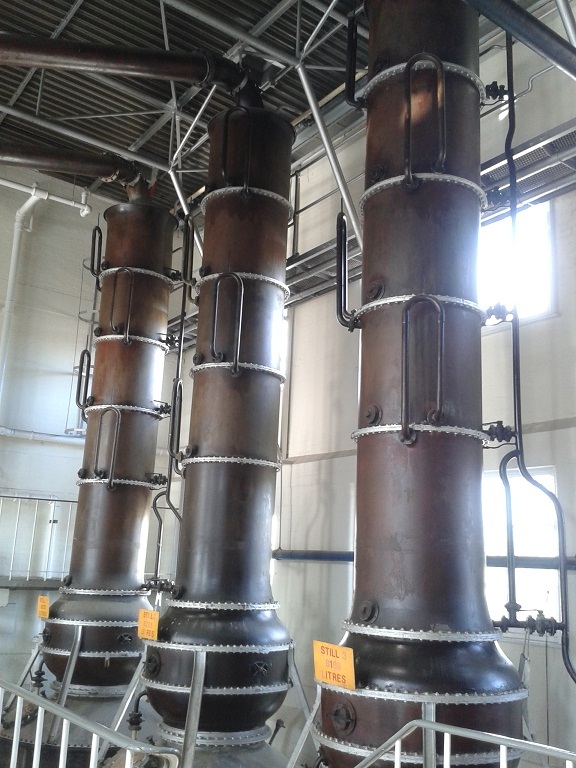 We pop through the doors to the the calm, cathedral-like atmosphere of the distilling hall where the vast pot stills tower above us. Rather to my surprise for such a global brand, it is still very much a hands-on operation. Just a few people work at the distillery and the botanticals are just in bags resting on the floor. Even the scales are the old-fashioned manual variety and makes me feel as if I’ve jumped back a century or two. We repair to the bar for our G&T and compare views on the best cocktail bars in town – I extol the virtues of Hix Soho and the Leader bar at the Marriot County Hall (the barman there does a fabulous Negroni made from Sacred’s gin, English vermouth and Rosehip Cup) while Desmond recommends the Connaught bar in Mayfair, Artesian bar at the Langham hotel and Happiness Forgets in London ultra-trendy Hoxton Square. I reel off happily back into the traffic maelstrom towards Vauxhall. I haven’t managed to make it to any of Desmond’s recommendations by the time I next see him, which is hardly surprising as it’s just a week later. Gin cocktails on a Tuesday afternoon with Desmond is certainly a habit I could get used to – this time the venue is the rather delightful Number 16 hotel in South Kensington, part of Firmdale Hotels owned by Tim and Kit Kemp, who also own Charlotte Street hotel, Haymarket hotel and Soho hotel. He is with JC Iglesias, Pernod Ricard’s global brand director for Beefeater and Plymouth gin and we all very Britishly have tea and scones in the secluded garden at Number 16, thankfully just before the rain also gets all British and starts to rain. It wouldn’t be a proper Tuesday with Desmond if there wasn’t gin involved and a round of gin & tea cocktails arrives, made up of chilled tea and Beefeater 24 – named after the 24 hour steeping process – which contains Japanese Sencha tea and Chinese green tea and was Desmond’s first gin creation on arriving at Beefeater after 25 years with Plymouth. 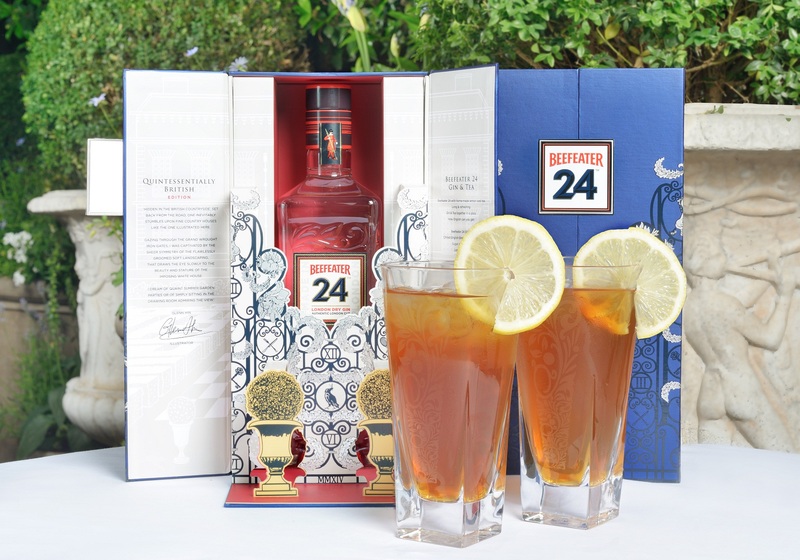 This week sees the launch of the Beefeater 24 Limited Edition, which has a Glen Hill-designed packaging which means the bottle is revealed in its very own English garden. Chef Mark Hix has put together a whole selection of canapes (also available at his new restaurant Hixter, in Liverpool Street) to accompany Beefeater 24, but if that’s too much effort, here’s the cocktail recipe. Pour all ingredients into a high ball glass over cubed ice.